Shrey Cricket Helmets brought to you by All Rounder Cricket. The Shrey products conform to the British safety standard and will comfortably be a popular seller at All Rounder. Available in various different colours and styles, with both stainless steel and titanium grill. Also comes with a stylish branded Shrey badge on the rear of the helmet. Shrey have introduced their new Cricket Helmet range for 2016 and at All Rounder Cricket Equipment Store we thought we would take a deeper look into the brand and the range to let you know which model choice we would recommend moving into the new season. With now over 10 years experience in Cricket Helmets and Visor Technology, Shrey are considered by many to be the number 1 supplier of Head Protection in the cricketing world. Shrey pride themselves in an attitude to provide improving products which have been made with passion and pride to offer cricket equipment the likes of which has never been seen before. Their products are used by countries like Australia, England, India, New Zealand, Pakistan, South Africa, West Indies and many more. 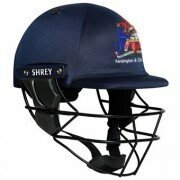 Not only are Shrey the unquestionable choice of international cricketers around the world but they also provide invaluable head protection for players at club and school level around the globe. They pride themselves in offering every cricketer what they have dreamt of all their lives to play their best cricket no matter what the bowling they are facing or the weather conditions they may have to tackle. The owner of the company Shrey Kohli has put an outstanding amount of love and effort into the ranges for the past 10 years which can be now seen fully in the 2016 cricket helmet range available from All Rounder Cricket Store. The Indian Cricket Team especially appreciates the work Shrey has done in contributing to making equipment and the game better as a whole. 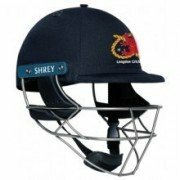 The Shrey Cricket Helmets range for 2016 really does offer everything any cricketer would need for safety, comfort and performance moving into the new season. Packed full of technology, these units will not let you down in the line of battle no matter what the circumstances are. Below is a list of all the technology used in Shrey’s Helmets. Maximum Vision – The grills are designed to give maximum safety to the batsman while still giving full vision. Linear Impact Distribution – State of the art attenuation system which manages energy transfer. Twin Shell Sandwich – Foam Filled Cavity in the shell to absorb the shock of any balls hitting the helmet. 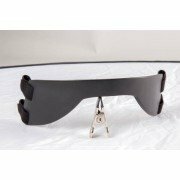 Anti Shake – Chin Strap and Back Strap to ensure complete stability throughout using of the item. Feather Light – Ultra Light Helmet due to the use of Composite Carbon Fiber and the Grade 5 Titanium Visor Grill. PERfit – Continuous research and development to ensure only the best products are available for purchase. Wind Flow – Two Channels to ensure perfect air flow throughout the product. Increased Ear Protection – Grills using 3D Wire Bends technology to cover all the ears. Customised Craftsmanship – Special Colours available to suit all needs and requirements. This helmet is the number 1 model currently made by Shrey and it is packed full of absolutely every little bit of cutting edge technology available. The highest level of cricket player around the world would feel at home and at ease wearing this product out in the middle. Using Carbon Composite Fiber to offer full protection and comfort at the very highest level. The Pro Guard is actually the most widely used cricket helmet in the world. You can see why with a feather light but ultra safe frame, more coverage of the Ear and Chin along with an improved Grille setup. Again being the most used helmet in professional cricket, the Pro Guard helmet for wicketkeepers is naturally a favourite of gloves men all over the world. A pioneering design to have an ultra light feel yet providing effective protection for keepers, it is easy to see why it is a popular choice. As worn by New Zealand Keeper, Brendon McCullum. This version of the Master Class comes with a Stainless Steel Visor. Again made of Carbon Composite Fiber for unbelievable protection throughout use and with a feather light shell it is a fantastic choice of helmet for cricketers of all levels who are looking for a quality mid level product. Another fantastic mid level choice for all levels of cricketer around the world, the Pro Guard with the Stainless Steel Visor provides a feather light unit with an incredibly safe grille which gives amazing coverage of protection to both the Ears and Chin. This is the only helmet which actually comes in 4 different sizes throughout the range for 2016. The Armor is the budget model from Shrey but it still packs a punch with fantastic protection for a batsman appearing at any position in the batting order. Last but not least is the junior version of the Armor Helmet. With extra padded protection where it is most required along with a feather light and ultra strong titanium grill it is easy to see why this has been the best selling Junior helmet around the world for many years. Which Helmet should I go for? The big stand out unit in the range is of course the Master Class Air with Titanium Grill with its unbelievable attention to detail, feather light grill and protection range second to none this would be the choice of the ultimate cricket professional. However, not everyone is as lucky to be in the situation to afford the top model as it of course comes at a premium price. I think for at least 90% of club cricketers the obvious choices are the mid range models. Of course if you can afford it a wise choice time after time would be the Master Class with Titanium Grill naturally. The standard Master Class Air comes with the Stainless Steel Visor as does the Pro Guard and I do feel these would be adequate for most players who want a light unit with good protection at an affordable price.